Kalahari Plains Camp is situated in a remote part of the diverse Central Kalahari Game Reserve (CKGR) and offers some of the best summer wildlife viewing opportunities in Africa. 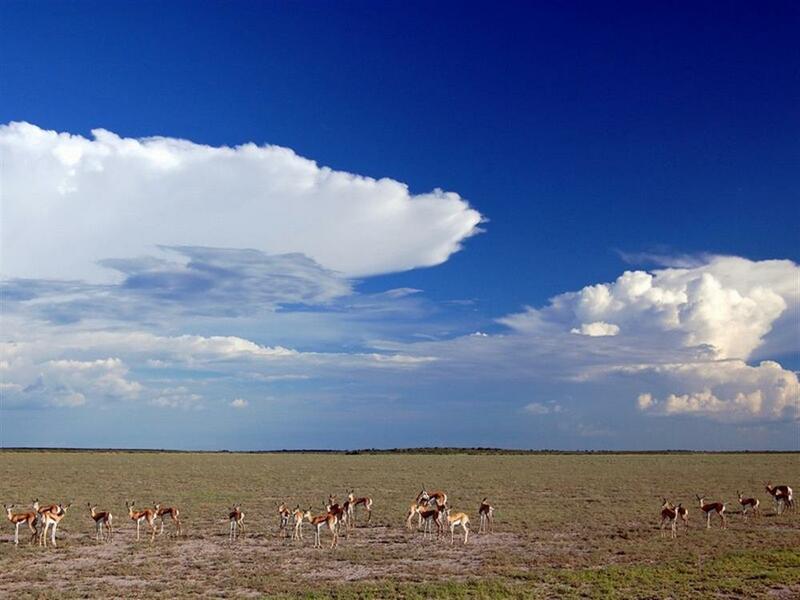 Located in the Kalahari Desert biome in the central part of Botswana, at 5 million hectares this reserve is the largest conservation area in the country and one of the largest in the world. 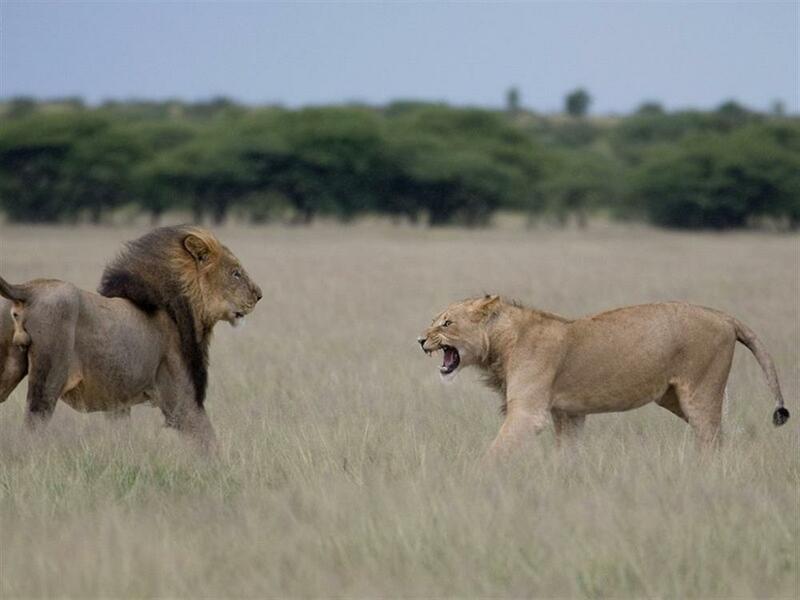 The CKGR is home to the legendary Kalahari black-maned lion as well as some of the world's best cheetah viewing. 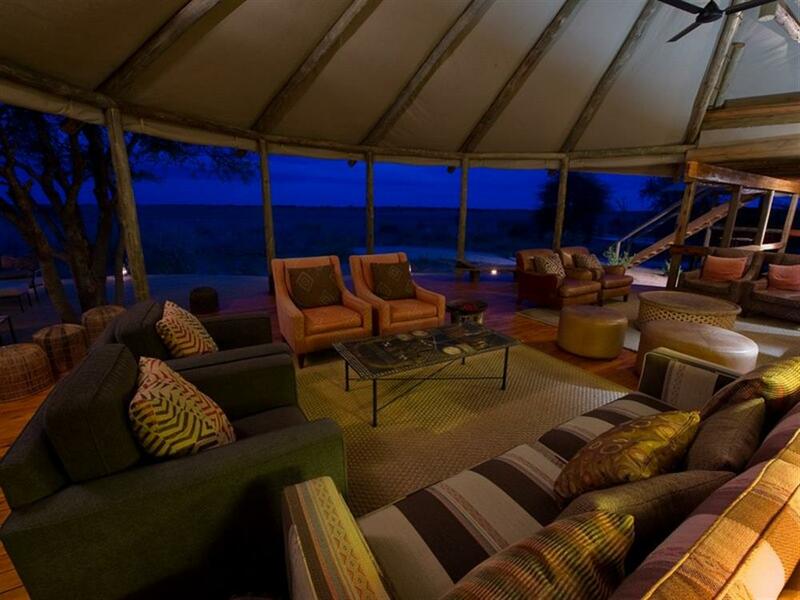 The camp is perfectly situated overlooking an immense pan with endless horizons and beautiful skies. 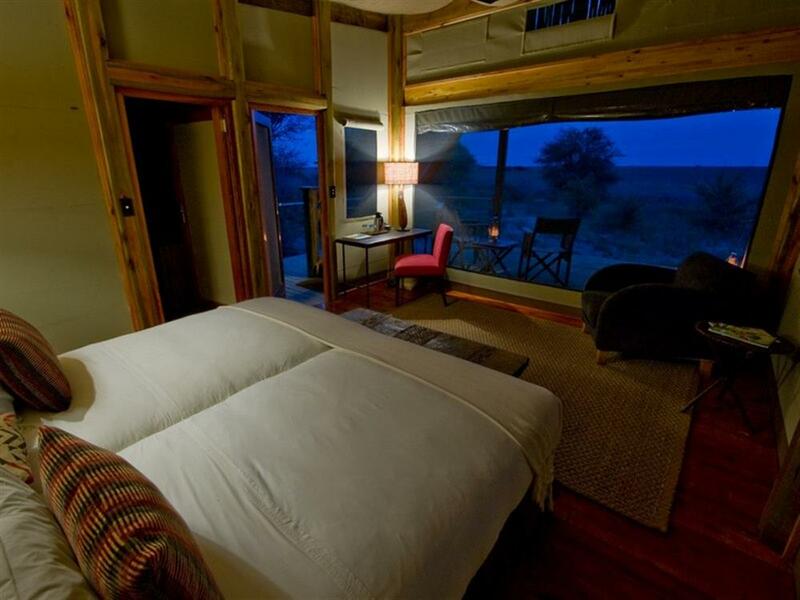 It comprises 10 en-suite canvas units with a sleep-out above each from which to enjoy moonlit or star-studded nights. The main area consists of a lounge and dining area with a swimming pool and deck area. 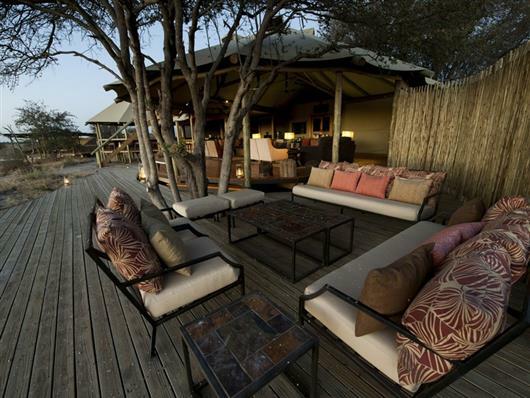 The tents and main area are all raised off the ground to catch the breeze and take in the sweeping views across the Kalahari. 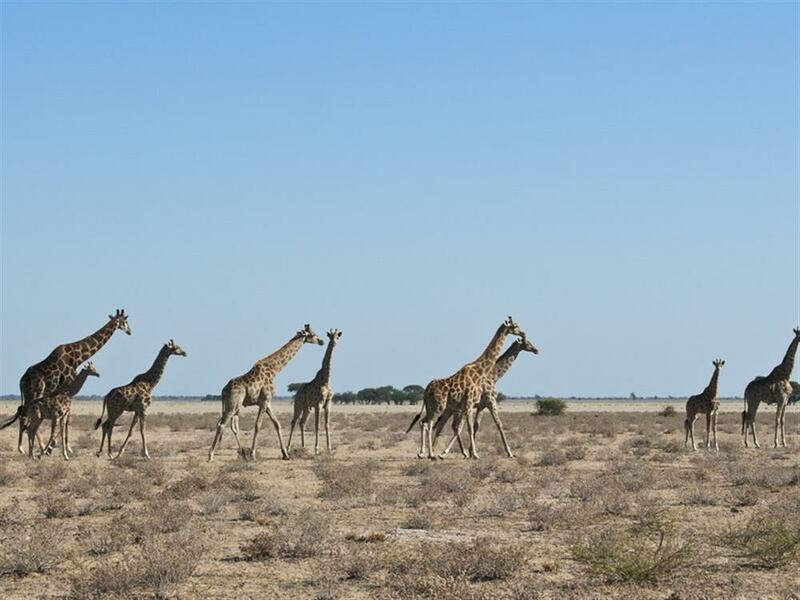 Solar power provides all the electricity and hot water in the camp - making Kalahari Plains a 100% solar-powered camp - and innovative insulated canvas walls and roof keep the temperatures inside the units comfortable. Due to the diversity of habitats, healthy game populations move through the area and are present to a greater or lesser degree all year round, but with the advent of the summer rains (end of November to April) the desert truly comes to life. 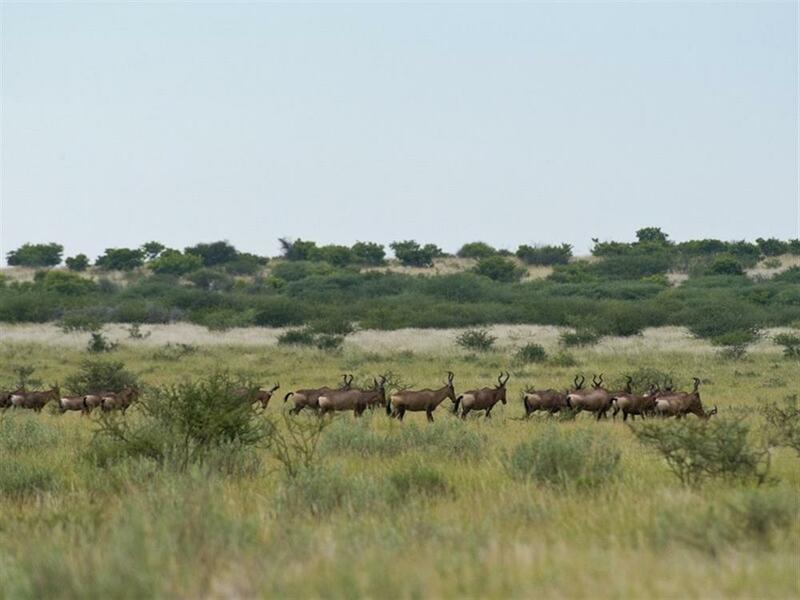 Short grasses sprout in the pan systems and fossil riverbeds, attracting a plethora of plains game such as springbok and gemsbok which converge in their hundreds and thousands to graze. Wildebeest, steenbok and red hartebeest join in the feast, and all these are followed in turn by predators such as lion, cheetah, and jackal. At other times, the Kalahari is more typically a dry desert-type system, when game viewing moves into the vegetated dunal belt and pan systems surrounding the valleys. General game still easily seen includes gemsbok, springbok, red hartebeest and steenbok as well as their predators such as lion, one of the highest concentrations of cheetah in southern Africa, leopard, brown hyaena and even caracal. Small predators also found here are black-backed jackal, meerkat, Cape fox, honey badger and myriad mongoose species. Some 220 bird species have been recorded to date. Visits to Deception Valley or even further afield are longer excursions that are well worthwhile, as the wildlife moves to different parts of the Park. Various Bushmen clans have thrived in this area for centuries, and many of Kalahari Plains Camp's staff hail from this ancient people. The camp offers an interpretive "Bushman Walk" where guests gain life-changing insights into the unique culture of this fascinating people.